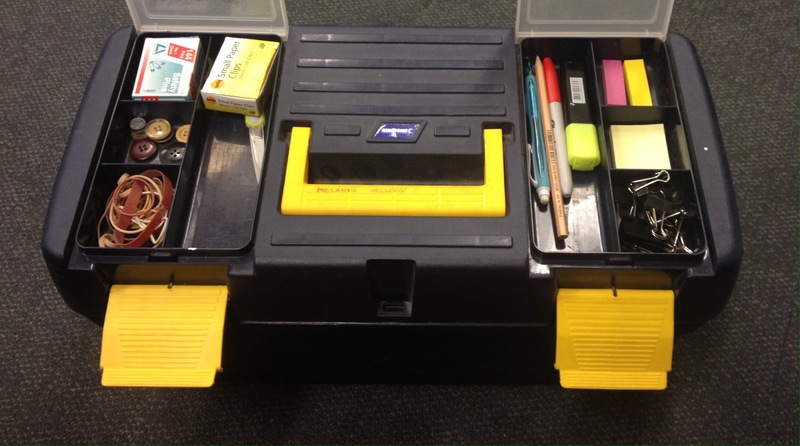 Being prepared is one of the best characteristics of a Stage Manager. When an actor runs offstage with a costume malfunction (ahem! ), having a safety pin at the ready can be the difference between a quick re-entrance or a show stop. 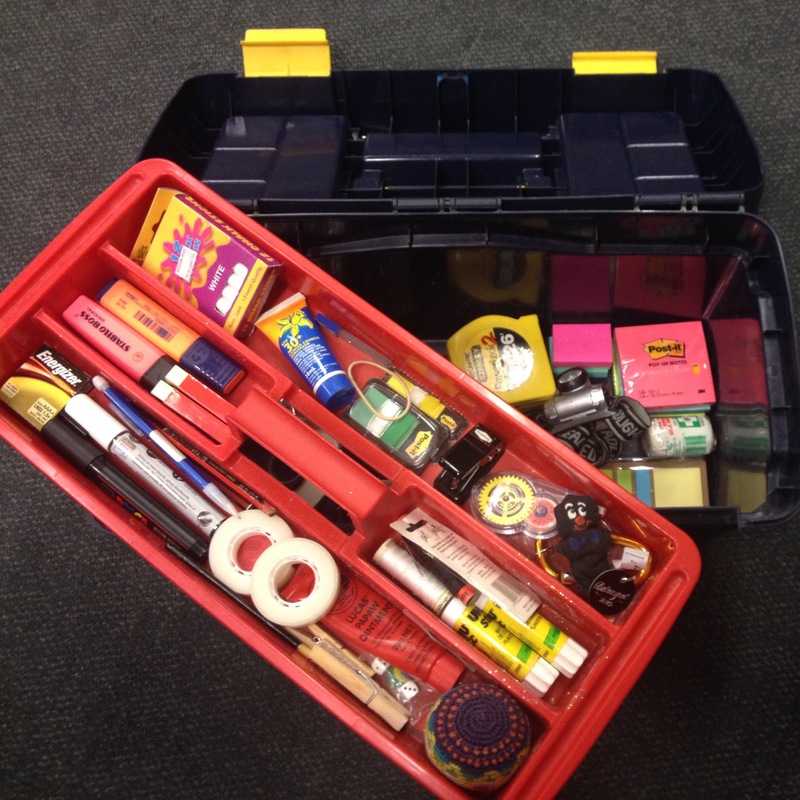 One simple way to be prepared is to have a kit with all the things you often find yourself needing. With a set of standard items, you too can be as resourceful as MacGyver. It’s a balance between having enough items to be able to cover most situations, but not so many that it becomes unwieldy and difficult to rummage through. When I’m calling, I keep it under the prompt desk and often end up with actors poking through it under my feet to find some much needed item. I’ve just been tidying out my kit (a good job to do at the end of a year) and here’s my list for the Ultimate Stage Management Kit. I keep it in a toolbox, but have also used plastic tubs or roadcases. This one is my old trusty favourite. I’ve had it since my first ASM gig many moons ago. I always make sure I have my little guy (who doesn’t have a name – see if you can spot him) given to me by a friend when I got my first professional job. You don’t need a large quantity of any of these things, mostly a couple of each will do. They are only there to grab in hurry, you can re-stock at a time when you aren’t so pushed. Multi-tool (or screwdrivers and a knife) – this qualifies you as a true MacGyver. If you’re on a tight budget, you can find some good tips to stocking it cheaply here. I’d love to hear what you have in your SM kit, especially if it isn’t on this list. Please comment with your items below. A second note you might want to add under highlighters – under blue lights a green highlighter can look yellow. I learned this the hard way after nicely highlighting everything during rehearsals for my first show. Had to run white lights until I found time to re-print and re-highlight everything. A good tip! I’ve often watched young actors arrive on the first day with their scripts highlighted in blue. It turns bad when they are trying to read it backstage and they can see all the lines except their own.